We have all been given gifts by the Spirit to be used in building up the body of Christ. We are all deserving of respect and honor. But, the Word says that our pastors and leaders among us are worthy of a little extra measure because they have been given the duty of overseeing the equipping of the body for the work of ministry. October has been set aside as Pastor Appreciation Month. 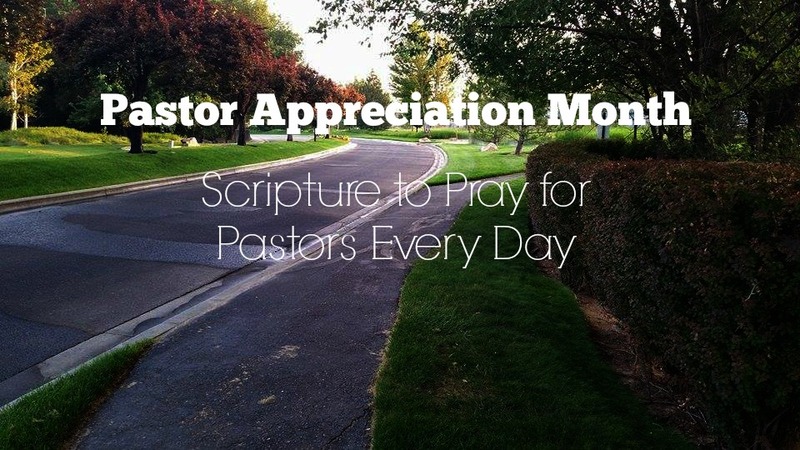 It’s a month that we are all encouraged to find some simple and intentional ways to honor and bless our pastors. There is no greater gift we can give these spiritual leaders among us than to pray for them. And using God’s Word is our greatest tool to pray with power and effectiveness. When we are praying God’s Word we are praying God’s will. I’ll be the first to admit that I have not been praying for the leaders in my life as often as I should – but I want to change that. Like many other things in life, developing new prayer habits must sometimes be done intentionally. My plan is to use this month to establish my family and I in the practice of praying for the leaders in our life. Here are a few scriptures that we are beginning to use to help us pray on a daily basis. Note: The following is meant to help me establish a routine with my kids. I absolutely believe it’s important that we spend time alone in extended, Spirit led prayer for the leadership within the body. Lord, pray that the fruit of love, joy, peace, patience, kindness, goodness, faithfulness, gentleness and self-control will produce in his daily life. Amen! They are in many ways on the frontlines and need prayer just as much as we do!!! !